Just a reminder - we remember our Lord’s sacrificial death for us in our Communion service, or Lord’s Supper, on the Sunday 1st, at the evening service, and 15th in the morning service. We welcome all baptised believers and who love the Lord Jesus as their Saviour and Lord to participate in the Lord’s Supper. Please enquire further of our pastor or another elder if you are unsure about this. Our Harvest Sunday is October 8th, when Pastor Calix will be conducting the morning service and Paul Philips the evening. 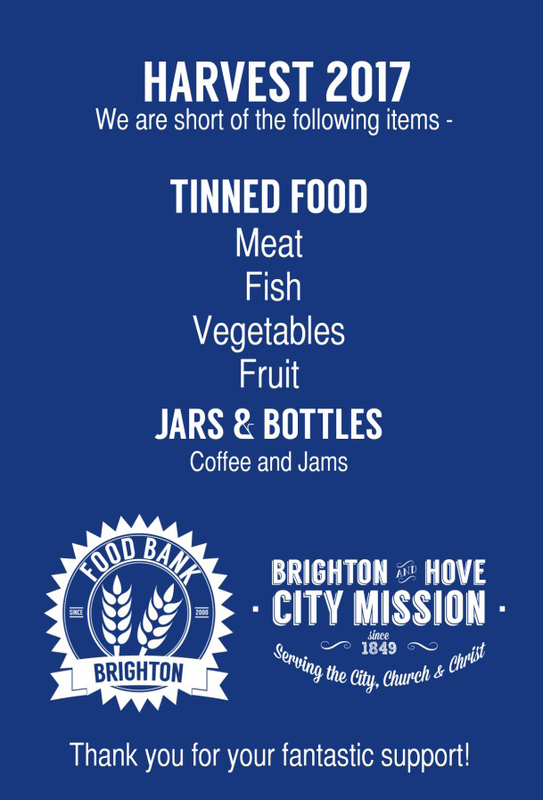 Your contributions of non perishable food etc. will be gladly received. 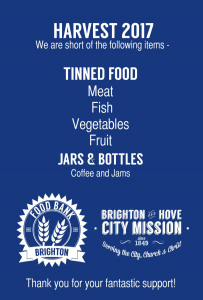 It will be taken to the Brighton & Hove City Mission for their Food Bank ministry in that needy city. We shall be having a Harvest Lunch following the morning service. Make sure you’ve signed up! Please remember Pat Smith and family in the loss of her brother Dennis Strudwick. 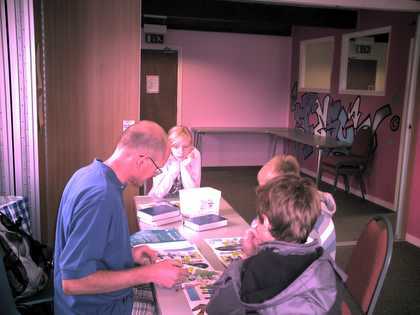 A Thanksgiving service for Dennis will be at Dorking Chapel on Weds 11th Oct at 11.30am. May we remember these missionaries at our gathered Prayer times and in our private devotions through the week.